Chrysler will Finally Get Some New Cars, Including A 300 Hellcat! It's about time that Chrysler dealerships get something new to sell. Here's a simple question; what does the Chrysler brand actually sell? This may be more difficult to answer than most people realize. According to Chrysler's website, the only models that it still sells are the Pacifica (and it's hybrid version), the 300, and the 200 (which is technically discontinued). So the car manufacturer sells just three distinct models, two of which are extremely out of date. Clearly Chrysler is in need of some fresh products, and Automotive News reports that they could arrive in the form of crossovers. Try to act surprised. The report indicated the a pair of crossovers will join the Chrysler lineup, with the 300 remaining on its aging Mercedes platform for another cycle. Sources say that the Alfa Romeo Giorgio-based 300 replacement that was scheduled for 2020 has been cancelled. 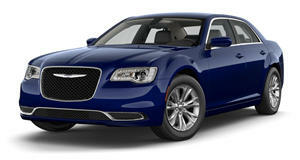 Instead, Chrysler will refresh the 300 for 2019 and shed weight to improve fuel efficiency. 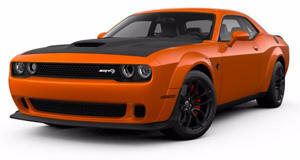 A turbocharged four-cylinder engine remains the likely powerplant, but Chrysler has also flirted with the idea of stuffing the mighty Hellcat engine in the 300 for 2018. The 200 will not be replaced, and FCA has also pondered rebadging the European Fiat Tipo sedan as a Chrysler Neon. The Pacifica is the newest model from Chrysler, and it will be refreshed in 2020. A three-row, mid-sized crossover will share a platform with the Jeep Cherokee and will be built in FCA's Illinois factory beginning in 2019. A full-size crossover based on the Pacifica platform will join it in 2020 and will likely revive the Aspen moniker. Finally, Chrysler showed off its autonomous EV Portal Concept, which has no confirmed plans for production. The crossovers should help Chrysler become relevant again, but we are most excited for the potential of a Hellcat-powered 300 model.